Perris Indoor Skydiving offers an interactive field trip experience centered around the principles of STEM. (Science, Technology, Engineering, and Math) We're also the only tunnel in the nation to also offer aviation and flight themed “extras” the other places can’t provide! Students will also perform THEIR OWN hands-on science experiments INSIDE the tunnel rather than simply watching a demonstration from the audience. Let Their Minds Take Flight! Students will receive education based around the principles of STEM on how the tunnel works to allow them to fly, how their bodies in flight are affected by the forces of lift, drag and resistance, and also how the principles of STEM pertain to parachutes and aviation. Let Their Bodies Take Flight! Every student will get two (1) minute flight sessions priced at our educational rate to stay within your budget. Students experience an interactive PARACHUTE PACKING DEMONSTRATION showing the intricacies of how a parachute works before going to the Drop Zone to watch parachutes and skydivers in action. 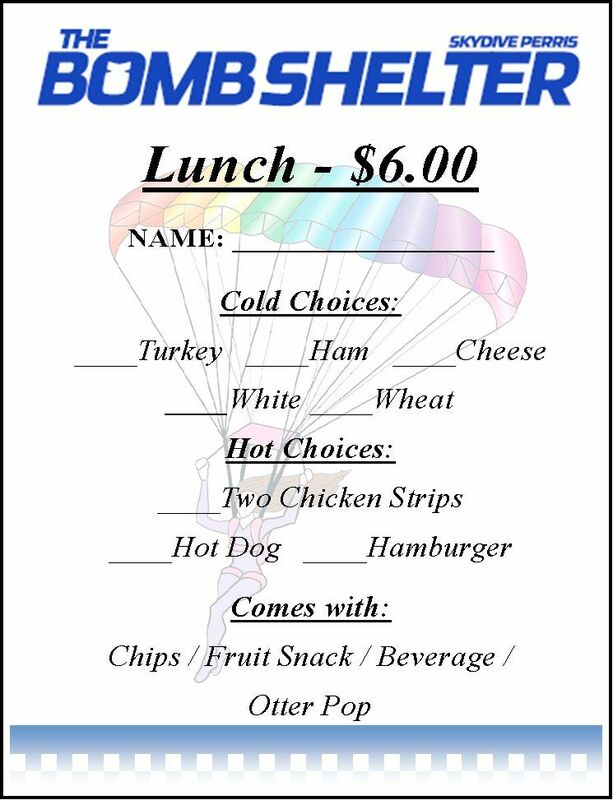 Tasty and affordable lunch options are available and are served & enjoyed at our spacious Skydive Perris facility, while watching skydivers & airplanes in action. Students are also welcome to bring a bagged lunch from home. Complimentary drinks are provided. Students take home a personalized Flight Certificate and an unforgettable memory. You can’t expect your students to do something you wouldn’t do and because the best part of their trip is watching their teachers fly, group leaders' flights are complementary! Pictures & videos of the flight sessions are available for students to purchase individually. For $45.00, the group can purchase one USB flash drive – to be copied & shared by all. Flash Drive will include video of the entire flight, plus each person’s individual photos. We operate a fresh-air wind tunnel, so please ask your students to wear lace up shoes and dress for the weather. You will have a dedicated field trip planner who will work with you from the time you contact our office, until the time you depart Perris Valley Airport. Read our indoor skydiving FAQs for additional information on how to prepare. View our physical science lesson using Newton’s Laws of Motion relating to skydiving. Field trips available weekday mornings. Suggested group size: up to 70 participants. 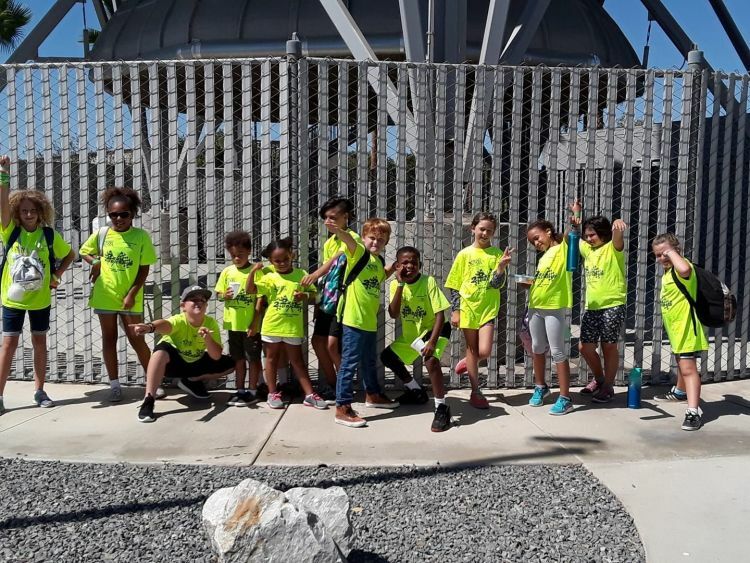 Call 951-940-4290 to Start Planning Your Field Trip Today! For more information about planning an indoor skydiving field trip or outing for your group, please email Mary@skydiveperris.com or complete the form below. Our Event Coordinator will be glad to help you customize a package that fits your group and budget.